Why is there a photo of a sofa? Thank you for taking the time to read my Blog. If you made it this far you most likely already know that I am a professional magician. Which means now may be wondering "Why on earth is a magician posting a photo of a sofa?" 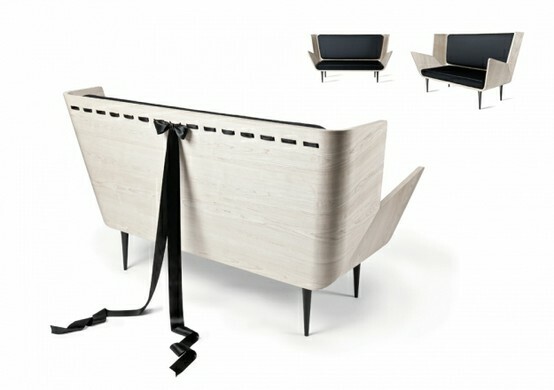 I love this sofa; it's from a collection by Nika Zupanc. I love the charming spin she placed on an ordinary object. As an artist this is the type of thing that inspires me to create. My aim is to entertain with unique magical routines that my audience can relate to; and maybe, inspire them to see their world in a different light. This blog is not really going to be about magic, but about the items, people,art and thoughts that are magic in this crazy world. I hope you enjoy it.